Authorities in Bangladesh say that 1.3 million people have been affected by flooding over the last 2 days. Twenty-seven people have died and around 368,000 people have been displaced and are staying in 970 temporary camps set up by the authorities. Rivers were more than 1 metre above danger levels at 6 different points, as of 15 August. The Jamuneswari river at Badarganj and the Jamuna at Bahadurabad both recorded their highest ever levels. 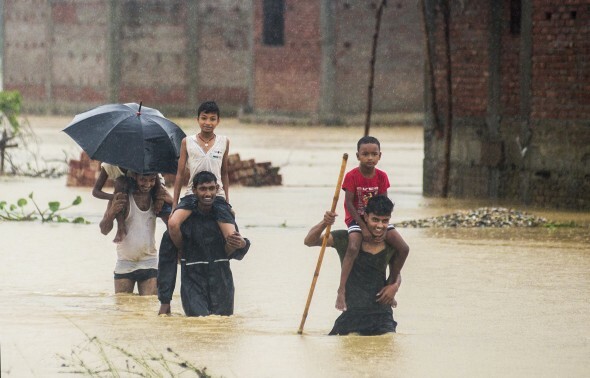 River levels increased after heavy rain in catchment areas in north eastern India and Nepal (these areas are also currently affected by flooding), as well as high levels of rainfall in parts of Bangladesh. On 15 August, Chandpur recorded 255.2mm of rain in 24 hours. Lourergorh recorded almost 400mm of rain in 48 hours from 13 to 15 August. On 13 August 198.7 mm of rain fell in 24 hours in Dinajpur and 188 mm fell in Durgapur during the same period, according to floodlist.